Pakistan’s textile industry has achieved another milestone. 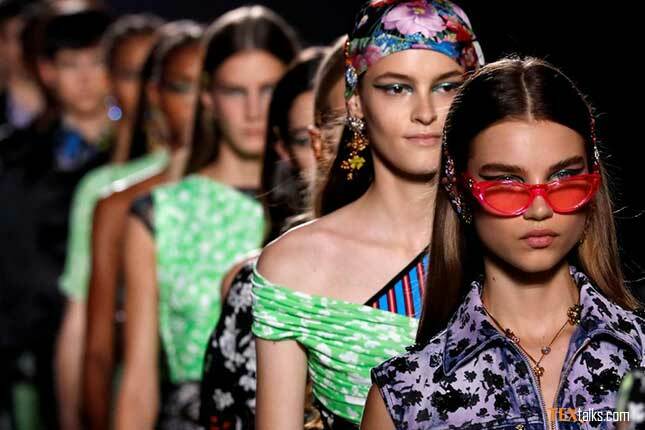 Designers from Milan have asked textile exporters to become a part of Milan Fashion Week 2019. Italian designer Stella Jean along with her six-member Italian delegation recently visited Faisalabad’s textile factories and showed their interest in working with Pakistani fabric. He advised the designer to use Pakistani fabric for her future designs too and open a studio in Pakistan. He remarked that the delegation was impressed by Pakistani lawn and cotton fabric. Mr Zia Alamdar Hussain said, “We are the fourth largest cotton producing country. This is why we have an edge in cotton export. Cotton is like white gold for us”. Mr Hussain also revealed on the show that an FCCI delegation is also scheduled to visit Spain to participate in an international exhibition in Barcelona. Pakistan’s participation is set to attract a huge number of buyers from across the world. On March 4, Pakistani designer Ms Syeda Amera showcased her bridal collection at Paris Fashion Week. Ms Syeda Amera is the only couturier from Pakistan to showcase her extraordinary collection along with talented designers from the United States, France, New Zealand, Indonesia and India. She garnered laurels for mixing architecture, art, culture and fashion in her couture. Milan Fashion Week will be held from September 17-23.